Horse Bridles-Dr.Cooks Bitless Bridles A Better Choice? Western horse riding involves control of your horse at all times. This is very obvious to anyone that has every ridden a horse. The horse bridle is very important in giving you the control that you need. Why then do we state the obvious. Because our discussion today centers around horse bridles. There seems to be a controversy around the regular bridles versus a bitless bridle on your horse. First we are going to take a look at what a bridle is, what it does, and in doing so we can unearth why some people today would very much like horse owners to switch to bitless bridles. The question is why? A horse bridle is a piece of horse riding gear used to direct the horse. The bridle includes both the headstall (that holds a bit that goes in the mouth of a horse) and the reins that are attached to the bit. Bridles come in a variety of combinations. If you are new to Western horse riding we are going to discuss the various combinations of what makeup different horse bridles. Let’s talk about the bridles and the differences in them. In Western horse riding there are only a few bridles that are used. The Western Bridle is used by Americans for riding their horses. This bridle usually lacks a noseband and often has only a one eared piece to help keep the bridle on the horse. This is because of the lack of a browband on the Western Bridle. This is only in some styles that riders use. The Gag Bridle is used when the rider is going for severe action, like for rodeos events, playing Polo, and occasionally a jumping event. These are used only for the extreme action type riding of a horse. Driving Bridles are used on horses, ponies, mules, or donkeys, in cohesion with a harness for pulling wagons, carts, carriages, or sleighs. These situations include activities from pleasure driving, to harness racing, to farm work, to even some special farm shows. Some people even use this set up for special event shows. You could also include draft horse events in the use of driving bridles. The next bridle is the Halter Bridle (Trail Bridle) and sometimes called an Endurance Bridle. 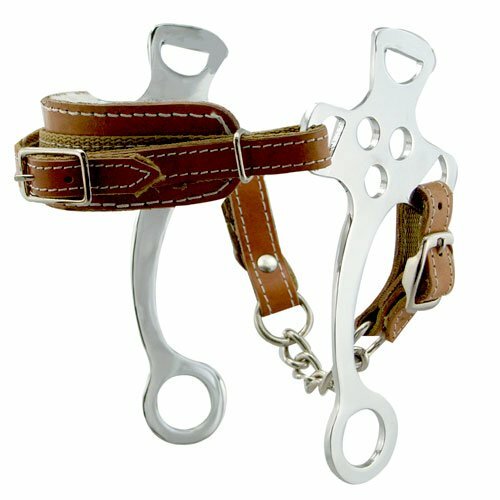 The design is a halter with additional quick release cheek-pieces that hold a bit and reins. They are used instead of a bitted bridle over the top of a halter. 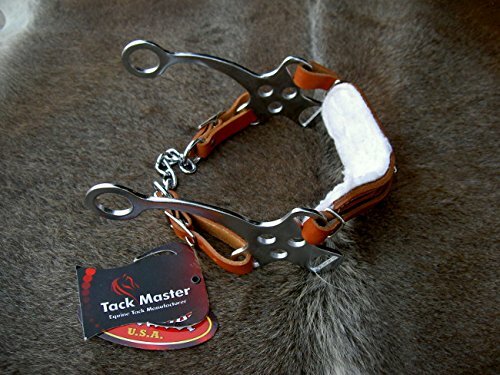 Variations of the halter bridle are used in North America by the famous Canadian Mounted Police. Our next bridle is where the large controversy of our page will begin. The Bitless bridle is number five on our list. So let’s talk about the Bitless bridle and what it is. At this point in the article we have talked mostly about bridles that use bits in the horse’s mouth for the most part. The Halter bridle would be our other exception. 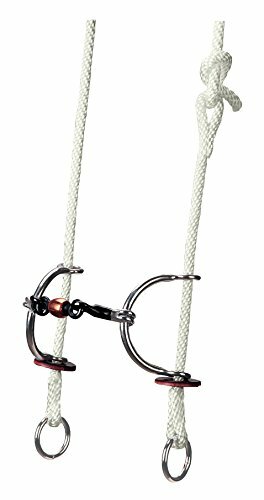 If we threw in all of the bridle’s that are used for English riding and the bridle that is called the Barcoo bridle that usually is used at work and in competition in Australia. We would still have bitted bridles in the majority. We can discuss the situation now as adults. We have have two sides of this coin. Side one favors and sees nothing wrong with the normalcy of using all of the old standby bridles that have been used for the last couple hundred years and at least many much longer. All of these bridles, the Western bridle, the Gag bridle, the Drafting bridle, all of the English bridles and the Barcoo bridle have bits built into them as a means of controlling the horse’s movements, as you ride the horse. The English bridles, the Pelham bridle, and the Snaffle bridle both employ the use of single mouth bits, while the Weymouth bridle (Double bridle) actually uses two mouth bits and double reins in controlling the horse. So there you have at least seven popular bridles that all employ the uses of mouth bits. A discussion of bitless bridles for horses must involve, Dr. Robert Cook. Dr. Cook from numerous studies has developed Dr. Cooks Bitless Bridle. This bitless bridle was refined in 1997 by a extremely experienced and published author. So as you can see, Dr. Cook brings much experience and professional opinions to the table on this discussion. Many bitted bridle users, simply like them because of their effectiveness in controlling the horse. Probably not much thought was ever applied to the scientific side of what this was actually doing to the horse itself. Dr. Cook has studied this out through his studies, he has actually come up with over 120 different ways the bits in the mouth effect the horses performance through pain caused by the use of bits. Thus disputing the bitted bridle user’s main reason for the bridles they use. Performance of the horse is king. The number one thing for a horse owner is the horse’s effectiveness. Whether you own a horse for pleasurable trail riding, to using it as a show horse, or more dramatic uses such as use in rodeos, or pulling a wagon etc. The most important thing is how well the horse does his job. So why not go for the less painful way, if it can be shown to be as effective with using Dr. Cooks Bitless Bridle. The good doctor shows us how effective the bitless bridle is, and just how how much less pain is inflicted on the horse, while using it. Let us look at a few of these examples. One of the largest things Dr. Cook has found during his years of research are that just putting a bit in a horse’s mouth causing fear in the animal. Fear can cause the animal to do such things, as bolting, rearing, bucking, head-shaking, stumbling etc. This then might cause you to be thrown off the horse. This is not being effective with your horse. We aren’t even considering the pain the horse is in from using the bits. The mouth is one of the most highly sensitive parts of the horse’s anatomy. Even the gentlest use of a bit causes pain and when the horse is in pain, many of these unwanted things may happen. Dr. Cook studied horse skulls from a museum and found that at least 75% of them had bone spurs on the bars of their mouths. How painful that must have been. Reasons why the Dr. Cooks bitless bridle is effective is that the pressure applied to the horse for the control is applied to allow the rider to communicate by painless pressure that is distributed around the whole of the head. “The Bitless Bridle distributes its gentle pressure to far less sensitive tissues and distributes even this amount of pressure over a wide area. It does this through two loops, one over the poll and one over the nose. Essentially, it gives the rider an inoffensive and benevolent method of communication by applying a nudge to one half of the head (for steering) or a hug to the whole of the head (for stopping). After reading about Bridles, and Bits, where are you? It can be a no brainer to some, which side is better, but then others, have very strong opinions and reasons for their views. Many of these views are based on many, many years of experience with horses. So you probably have your opinion now, and that is great. All horse lovers, and all western riding style lovers, will make their own decisions on bridles and bits, or bridles and no bits, when they purchase their horse equipment. We hope you now have a more information to help with your buying decisions. Great riding enjoyment to you! Controversy surrounds the use of horse bridles with bits, and the use of bitless bridles. Dr. Cooks bitless bridle is in the middle of this discussion.